Tracing the allusions of the Old Testament in the New Testament, finding a deeper beauty in the person of Christ. 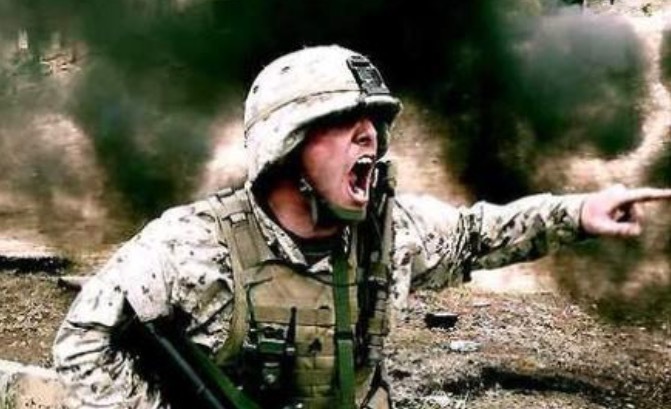 One of the great struggles for a soldier deployed overseas in our current struggle against an unmarked enemy is the inability to communicate. While you are trained with basic words like “stop” and other necessary words, the language difference makes war all the more difficult. As a purveyor of unconventional warfare, you are facing a foreign enemy where your weapon is directly connected to the enemy’s ability to submit or not submit to your words (thank God for translators). This is similar for Christians who are fighting an enemy who is far more elegant and trained in warfare, knows all our weaknesses and strategies, and had been doing this warfare thing for centuries. We cannot just shout commands at him, nor cripple him with physical weapons. That is why, so far in Ephesians 6, Paul has primarily listed weapons that are used in a defensive mode. Is there anything we ought to be offensive with in this spiritual warfare against the seemingly impenetrable enemy? Now, I am going to bypass the helmet of salvation but will wait to explain why in the concluding blog on The Armor of God. To better understand what Paul has in mind when describing the sword of the Spirit, let’s look back to Isaiah chapter 49. This is the second “servant song” in Isaiah. It is a song describing God’s Servant that would come to proclaim both a message of salvation and of judgment to the nations that are far off (49:1-2). This Messiah would be the True Israel himself who would come and preserve those in Israel who believe in him by faith (49:3; 5). This light to the nations (49:6) and Redeemer (49:7) will stake his claim as the authority and judge over all nations, wielding a sharp sword and a quiver packed with polished arrows. The primary weapon of choice is his word (49:2), which is likened to a sword. This is imagery for judgment that the Messiah himself will bring upon the nations. In a similar sense to the modern soldier, this Warrior’s Word is so connected to his weapon, but this Warrior’s weapon is his word. “Thus, Jesus’ resurrection has commenced the end time resurrection of the saints. The ‘sharp two-edged sword’ proceeding from Jesus’ mouth in Revelation 1:16 is based on the prophecies of Isaiah 11:4 and 49:2, which depict him as an eschatological judge who has begun to fulfill this judicial messianic expectation.” (G.K. Beale, New Testament Biblical Theology, 829). Not only does this Word judge and expose, but it also sympathizes with us in our weaknesses and calls us to get direct help from him at his throne of grace (Hebrews 4:15-16). This Servant brings both judgment and life in the midst of our warfare. And the great news is that he has the final word against this enemy when he tosses him and all his yes-men into the Lake of Fire forever (Revelation 20:1-6). So, fellow warrior, cling to the Word of your God and so taste the goodness of his promises to bring you through the war and into an eternal respite in him.